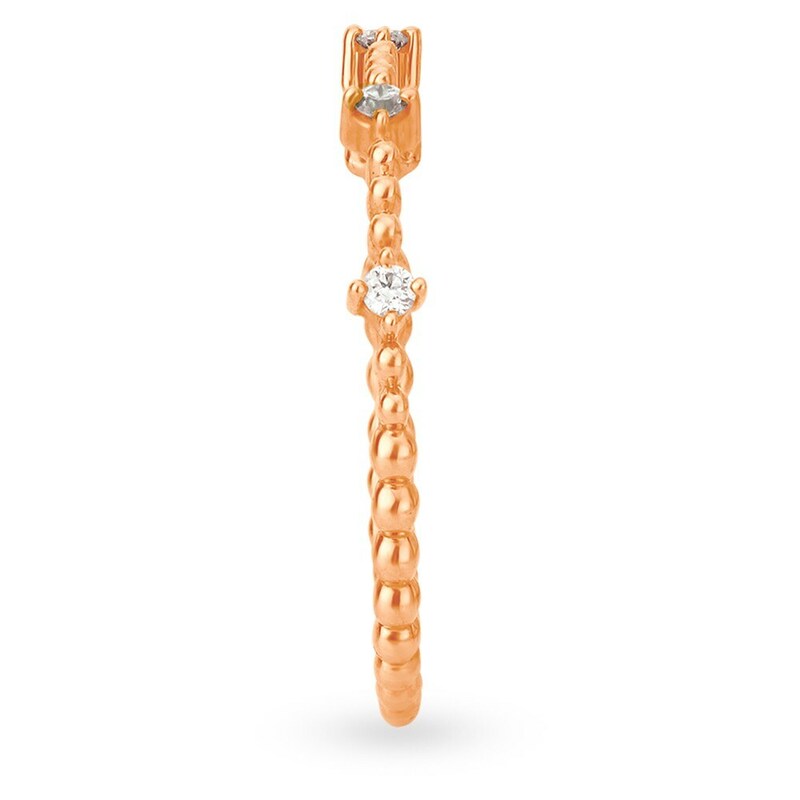 Streamlined and contemporary, the brilliant round cut diamonds in this ring twinkle like the stars on a clear night sky. 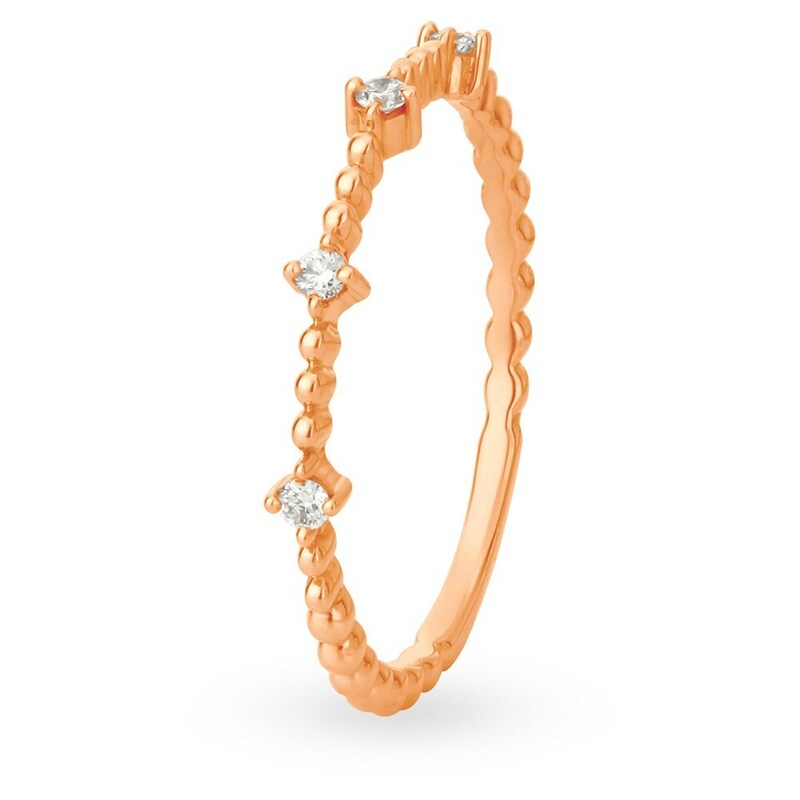 This simple yet exquisite ring is the perfect accent to your evening ensemble. 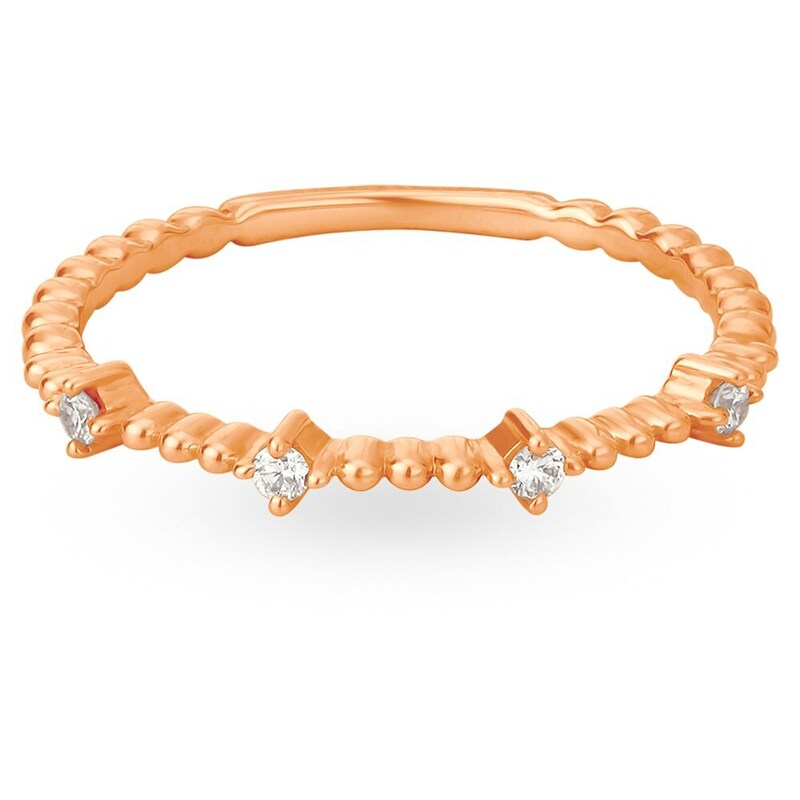 The ring is made of 18KT rose gold.